Post news Report RSS	The Universim: Global Warning Patch v0.0.31 is now live! We’re back with a delicious assortment of new features! We have had a super productive month here at Crytivo, which may or may not involve that amazing procedural alien planet generation system we keep mentioning ;). It’s going to be glorious! We’re back with a delicious assortment of new features! We have had a super productive month here at Crytivo, which may or may not involve that amazing procedural alien planet generation system we keep mentioning ;). It’s going to be glorious! If you’ve been enjoying the game so far, be sure to drop us a review on Steam to let us know your thoughts. We love reading what you have to say! Thanks for sticking with us on this crazy ride. We’ve hit maximum velocity in the Modern (Industrial) Age! Mmmm, don’t you just love the smell of freshly-brewed plastic in the morning? Modern buildings deserve modern scaffolding, and that’s exactly what we have for you today. Motivated by your feedback, our devs have gone above and beyond and made it look oh-so-beautiful! That rumbling is far too loud to be your stomach! Only a collapsing skyscraper could cause the planet to tremble so spectacularly, thanks to some potent new visual effects. If you really want to destroy the civilization you’ve worked so hard to create, it might as well look and feel awesome. Enjoy! Ah, the sweet smell of gasoline. Did you know that it causes inexplicably rapid armpit hair growth in Nuggets? It’s like they suddenly developed two extra furry arms. Beyond that, Fuel can be burned to create energy and further pollute the environment. You can’t have everything. Get the crash cart! There are lives that need to be saved! Brand new defibrillators, catheters, ethical practices, and curvy needles have been added to the Modern Hospital. Less death all around! It’s starting to look good enough to drink! Store more water than ever and never worry about evaporation again. It’s cheap, it’s versatile, and nature absolutely despises it. Say hello to plastic! While it may cause issues later, think about all the awesome stuff you can make with it until then. The Clone Center is here (AKA, the Nugget customizer)! This will be the tallest building on the planet. We have shortened it for this initial release so it doesn’t look out of place with everything else, but you’ll be able to upgrade it well into the sky. You can customize and order new Nuggets that will be delivered to you in a capsule with a little ribbon. It’s super classy and only a little creepy. To spice things up, we added Legendary Traits to all of the Nuggets you genetically engineer. They will be like little heroes running around with hidden (or quite obvious) superpowers. Every Legendary Trait comes with a few bad habits and negative traits. Take the Undying, for example, who will never grow old. However, they sleep for years at a time and can spread diseases far more quickly than other Nuggets when they contract one. It’s bigger and more organized than ever! Storage has gotten a lot smarter. Now, if only Nuggets could do the same. We’re mega proud of this change. After hearing what you all had to say, we revisited the Building List Panel and upped the epicness to 5000. 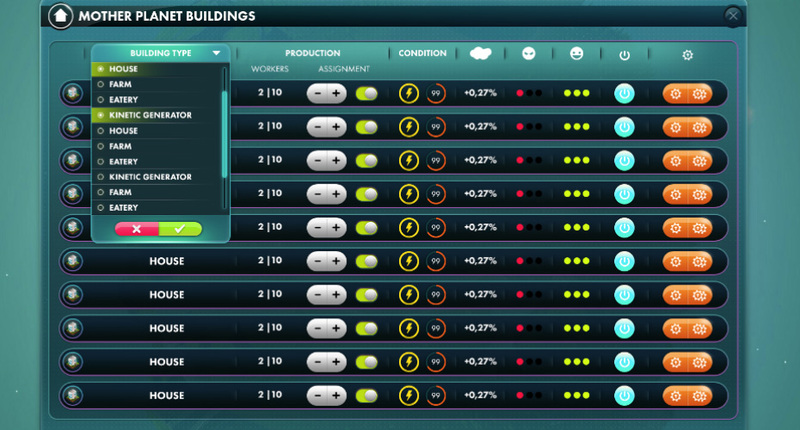 Using this new panel, you can now easily assign Nuggets to buildings, turn shifts on/off, sort buildings by type, view each building’s effect on Happiness/crime and pollution, and (by popular demand) manage things more easily with two upgrade buttons that allow you to either upgrade a single building or every building of similar type. Keep letting us know how we can improve things! Your opinion and suggestions matter! With names like Dolce Nuggana, Louis Nuiggon, Nuggani, Nuggberry, and Ralph Naugren, Nugget fashion is on the rise. More creative and colorful brands are taking over from older trends. Giiiirl, you’re going to look fabulous! Have you been keeping track of how many factories we’re adding lately? It’s a little nuts. However, they are crucial for the future of your civilization. They produce advanced materials that will be used for constructing buildings and technology like Airports and Rocket Launchpads, which naturally includes tech like rockets, drones, rovers, and satellites. Polish your helmets, everyone, we’re blasting off soon! 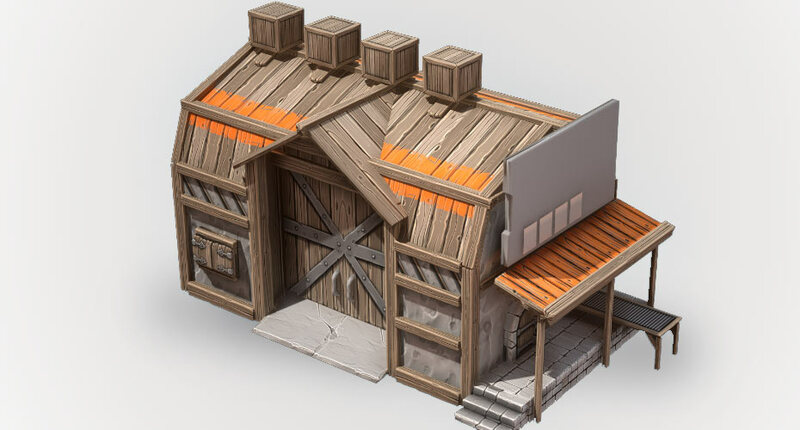 Medieval Warehouse model added to the game. 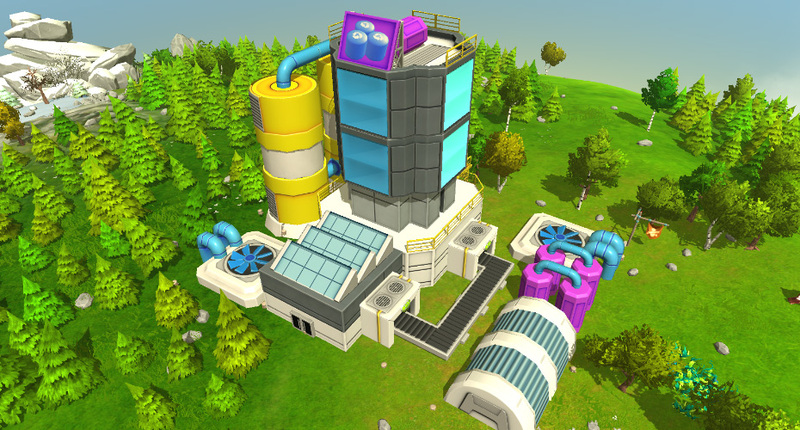 Modern Plastic Factory added to the game. 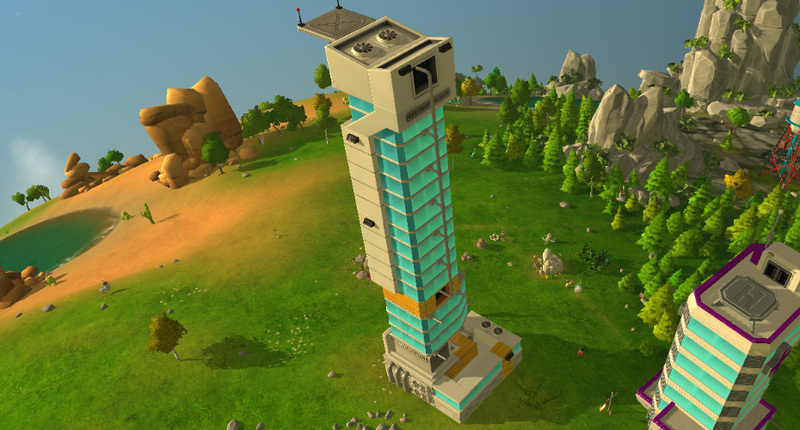 Clone Center building added to the game. Modern building debris VFX added for when buildings are demolished. Modern Era scaffolding is now placed around construction sites. Medieval Era Nugget clothing added to the game. 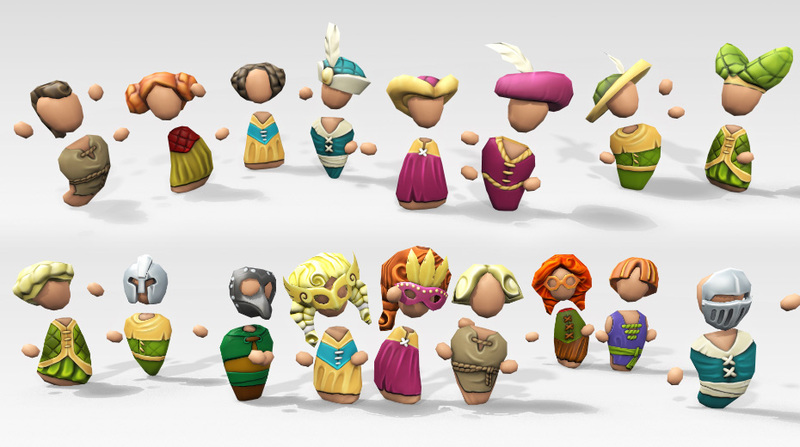 Added more accessories to citizens in the Medieval Era. Medieval hairstyles added to the game. Modern Reservoir added to the game. 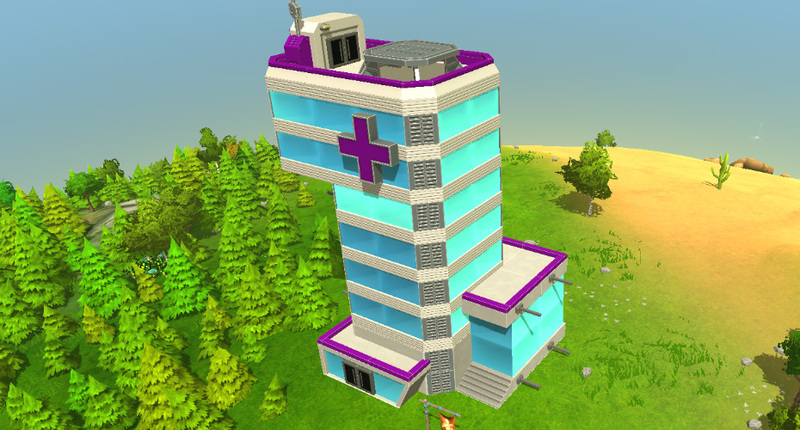 Modern Hospital added to the game. Modern Well/Fountain added to the game. New resource models added for: Fuel, Steel, and Plastic. Medieval decals have been updated with normal maps. 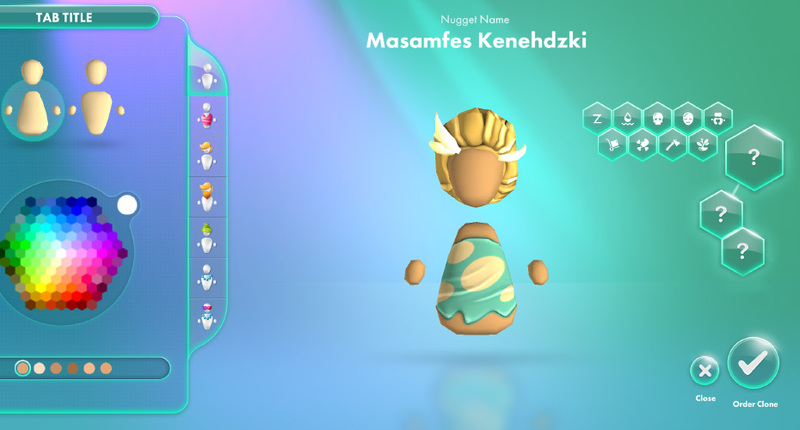 Clone Center capsule for releasing customized Nuggets added to the game. 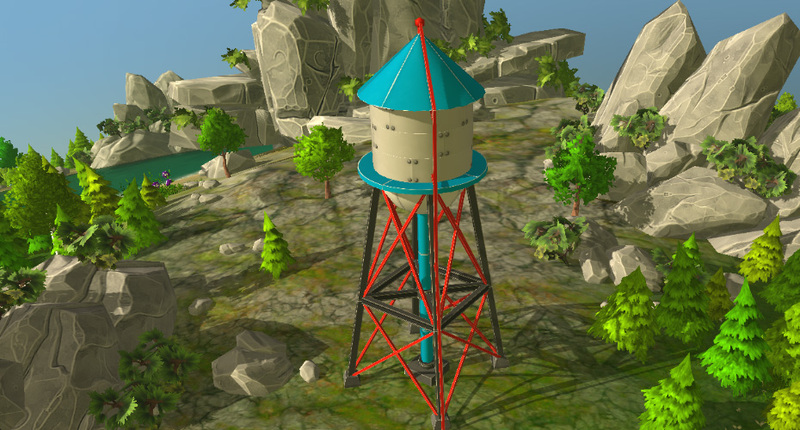 New Fuel Factory added to the game. Nugget Customization Screen added to the game. Clone Center panel has been implemented. New extended/reworked building list panel implemented. Added new icons for Fuel, Steel, and Plastic. Fixed broken UI for Schools and Universities (caused by shifts). Added cancel button for stopping building upgrades. Added icons to the construction menu for the Cement Factory, Clone Center, Fire Station, Fuel Factory, Plastic Factory, Glass Factory, and University. Fixed broken buttons in the building list panel. New status icons for going to: Plastic Factory, Steel Factory, Glass Factory, and Fuel Factory. 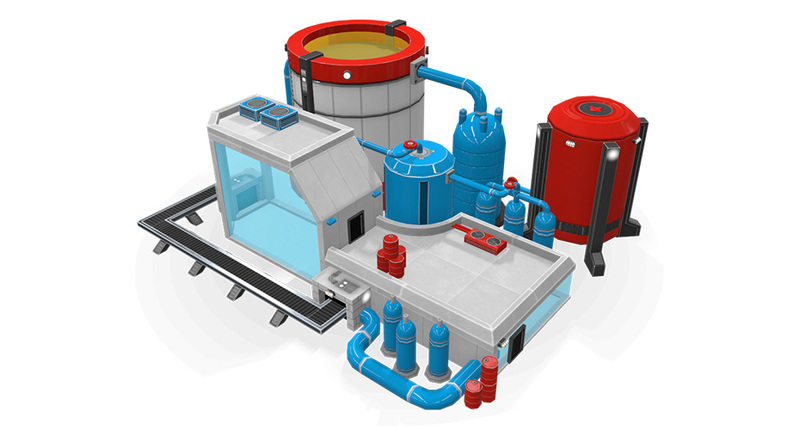 Added new resource icons for: Plastic, Chemicals, Glass, Steel, Fuel, and Cement. You may experience longer loading times than usual when starting a new game. Currently, this can take anywhere from 5-10 minutes. We are investigating the problem and we would be grateful if anyone who experiences this issue can contact us on Discord so we can get some more information about what could be causing it. A fair amount of players have been experiencing an issue where the Nugget population count seems to stall at around 200-220. We have tweaked the mating balance in this patch to try and address this, but another problem remains where large groups of Nuggets die at the same time for no apparent reason. If you notice anything suspicious like this, please save and send us your save file so we can find the cause. Are you excited about the new patch? A lot of hard work is being done each and every day by our amazing devs. We want to give a shout out to everyone for their loyalty, creativity, and drive, which includes the awesome testers and translators who offer so much help. And, of course, we want to thank the entire community for being so supportive and wonderful. You always rock! If you love what we’re doing or have some thoughts on the game, please drop us your honest review on Steam.